Power Star - Pawan Profile - FULL Biography | GSV Films :: Film news, video songs, movies news telugu, tamil hot actress. Pawan Kalyan (born September 2, 1962) He is an indian actor and film director.He is fondly called 'Power Star' by his fans. His birth name is Konidala Kalyan. He starred in many top films and became one of the top celebrities in India, perhaps the most notable of these being the hugely successful of his five films (Suswagatham, Tholi Prema, Thammudu, Badri, Khushi). He is the younger brother of popular Telugu actor, Chiranjeevi and producer Naga Babu. Pawan Kalyan is born in nellore. Pawan Kalyan entered the Telugu movie industry with Akkada Abbai Ikkada Ammayi as Kalyan Babu. This film did not do well at the box office. However, he was noticed for his Martial Arts. After his first movie, his second movie Gokulamlo Sita was an average flick but his next movie Suswagatham is a hit. In 1998, Tholi Prema released. It initially started out low profile but the treatement and the storyline along with melodious and balanced music by Deva took the movie to great heights and so did the image of Pawan Kalyan. Tholi Prema is a milestone in Pawan Kalyan's career. It is the movie which made the audience recognize the talent him. Thammudu, another blockbuster followed, is a remake of Jo Jeetha Wohi Sikkandar with a difference that Pawan Kalyan is a kickbocker. Badri, directed by Poori Jagannath starring Pawan Kalyan, Amisha and Renu Desai is carried to a success range solely by Pawan Kalyan. Pawan Kalyan is, as reported by media by then, involves himself in other aspects of the film too. Though few criticize that, it is his responsibility and commitment to the project that makes him take care of everything. And ofcourse, it worked each and every time. Kushi, released in 2001, created records. Kushi, his 7th movie, went on to get a gross of 20 crores. After Kushi, Pawan Kalyan was in Japan for a brief period learing Akido martial art. That's for his debut directoral film Jhonny. The film had Renu Desai as lead actress. The film did not do great at the boxoffice but the movie has touching moments and became a canvas of Pawan's directoral skills. Gudumba Shankar released in 2004. This film has Pawan Kalyan written all over it. Stunts and songs are conceptualized by Pawan Kalyan. He also got the credits for screenplay. The film is a good family entertainer. However that was not what his fans were expecting. The film did average business at the boxoffice. Later Vyjayanthi Films released Balu in 2005. This film is directed by Karunakaran who directed Tholi Prema. Bangaram -Although it opened with extraordinary collections grossing almost 10 crores opening week, the film came out to be a disappointment. Annavaram was released on December 29, 2006 by getting a good response and proved to be a big hit at box office. On Day 1, the film grossed 3.75 crores. The film grossed a share of 12.44 crores In its first week , 18 crores second week. After three weeks, the film grossed a share of 27 crores, which is making it the highest grossing film in Kalyan's career. Jalsa was releasing on April 02 2008. It's BoxOffice Hit. president Chiranjeevi, as the president of the youth wing. With this, another new political family seems to have emerged in the state. The move from "Star" to "Power Star" came when pawan kalyan played "Balu" in the 1998 blockbuster toliprema, the highest critical acclaimed movie It also received 6 nandi awards. Over the course of the next few years he would become a household name statewide, synonymous with labels such as "teenage heart-throb". In 1999 Pawan Kalyan began a shift away to action and love involved movies and moved to engage himself by starring in three epic movies: Thammudu, Badri, Khushi. All three films were very well received by critics. His stardom took such a high because he is the only actor in the Telugu film fraternity to give four block-busters in a row. He mainly attracted youth and college students with his movies in college back-drop and he has most of his following in the youth and also the most popular and liked actor in the youth. Hence irrespective of hits and flops his films receive a tremendous opening collections. By 2002, Pawan Kalyan is shot to such a fame that Pepsi decided to pit him against their arch rival Coke (Thumbs Up), being promoted by his big brother, Chiranjeevi. Pawan Kalyan is never a media accessible person. Pawan Kalyan, in one of his interviews, commented that he is an artist and hence it's not him but his films that should do the talking. Pawan Kalyan also composed stunts for Chiranjeevi's Daddy. A unique profile - In addition to his expertise in martial arts and fight sequences, he is a talented actor, director and away-from-publicity. Pawan has started an organization called Common Man Protection Force in October 2007. He has contributed 1 crore INR towards the corpus fund, CMPF aims to solve the social problems, help the neglected sections of the society. Its area of operations is in India. He intends to do it through organised militia, and seems to have got carried away with the ideals of Gudumba Shankar. CMPF targets child prostitution, Flourosis afflicted areas initially. News is spread that CMPF is changed to Common Protection force. Media have every reason to misinterpret him. They write a lot about him. He was completely down after Johnny. What he thought of Johnny and what got translated on screen was very different. He compensated the distributors' loss. He have always shared the loss and no one talks about it. Nevertheless, he is a very content person and he never felt that he should use media to justify his actions. He always thinks that movies are the only source of media for him to interact with the audience and his fans. The fact that he has not celebrated even a single 'Success Meet' or a function after his movie reaches a landmark shows his modesty and simplicity. His sheer disinterest in media is the reason for the bad propagation about him in the media. Also Pawan did not receive any award for his movies so far as he is not media friendly. The fact that he did not receive the Best Actor award for Khushi in 2001, the year in which Telugu film industry was in crisis shows the non-cooperation of media to him. 2003 Johnny Johnny the role of Jhonny as Kalyan did"
2004 Gudumba Shankar Shankar / Kalyanji Stunts and songs are conceptualized by Pawan Kalyan. He also got the credits for screenplay. 2006 Bangaram Bangaram Above average "Film collected 10 crores gross in its opening weekend"
Annavaram Annavaram Film grossed 27crores in first three weeks. Pawan Kalyan was first married to Nandini, after some time they both got separated but never divorced (and the related case on divorce is still pending in the court). Pawan Kalyan then fell in love with Renu Desai who was his co-star in the movie Badri and started living with her. Known as Saha Jeevanam in Telugu. 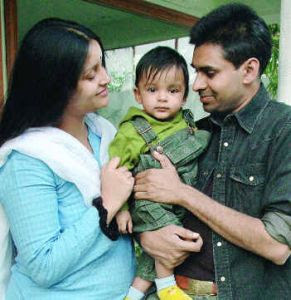 The couple have a son named Akira Nandan, named after his favourite director Akira Kurosawa. * Pawan Kalyan is a Vegetarian. * He has a Black Belt in Martial Arts and did his own stunts. * He compensated the distributors' loss for his film johnny. * pawan kalyan was the first south indian actor to endorse in pepsi ad campaign. * His lover Renu Desai is the costume designer for most of his films. * Tamil actors Vijay and Venkatesh are good friends of his and both expressed their interest to act in a film together. * Tamil and Telugu actress Trisha in an interview said that, she had a crush on Pawan Kalyan. * Many of the young actors and actresses in tollywood admire Pawan as an idol and icon. * His favourite past time is reading books and planting saplings.He has a farm house in the outskirts of hyderabad where he grows vegetables,fruits. * He is the most misunderstood man in the Telugu film industry, But there is no denying Kalyan's star power.